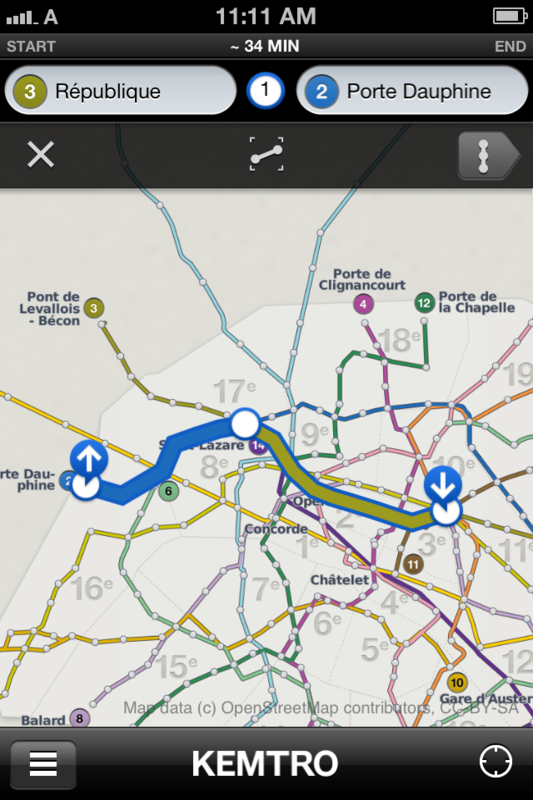 Kemtro is an iPhone application for Paris metro. I developed the whole application using various tools. 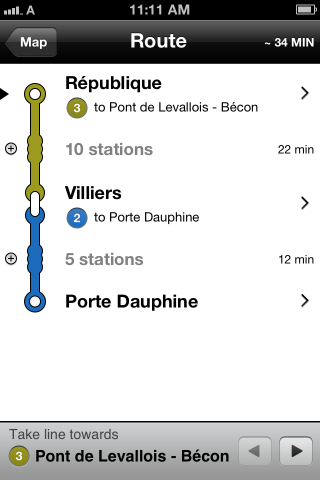 The iPhone app was developed in iOS, using the library route-me. 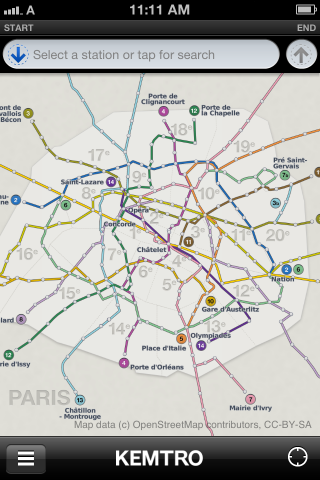 Main screen with the map of Paris with all metro lines. 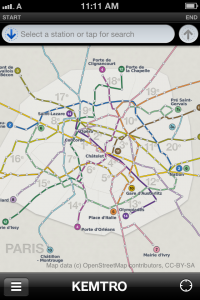 One can interact with the map by panning, zooming in and out, and selecting stations. 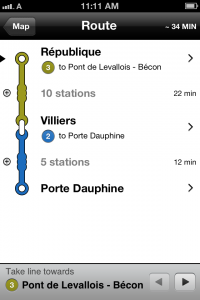 Once the start and end stations are selected, the route is computed and shown on the map. 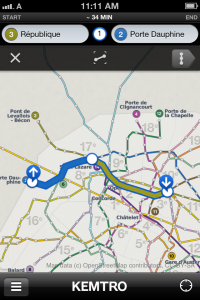 There are different ways of modifying the route, either by using the map, or the toolbar at the top. The details of the route can be viewed separately. This shows the time information, transfer station, and also a map if desired. Selecting a station from the detailed route view shows the map around that station. 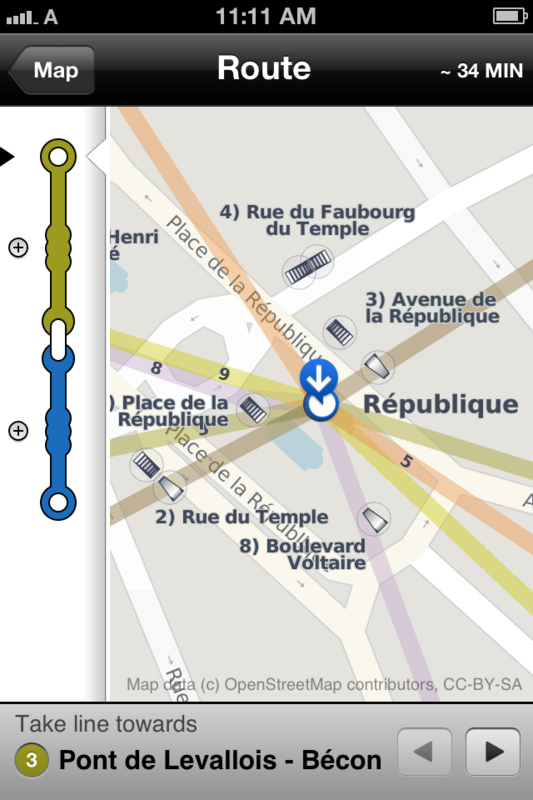 One of Kemtro’s goals is to provide maps that emphasize what is important when using the metro.